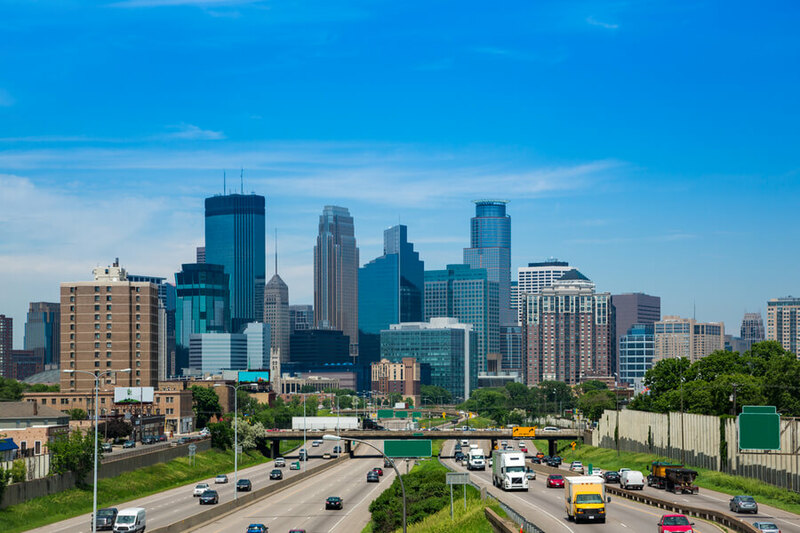 With a population of over 400,000 people, the city of Minneapolis is the largest in Minnesota and the 45th largest in the USA. Its status as one of the larger cities in the country makes it a potential target of a rub off from drug abuse trends. Rehab centers in Minnesota are doing bits to address the problem, but there remains a distinct complacence in the way that citizens address the issue. This review attempts to deal with that by providing sensitive information about just how much of an impact drug abuse has had on the city of Minneapolis. If you or a loved one are struggling with addiction or the effects of any type of substance abuse in Minneapolis, Minnesota, feel free to call (888)-459-5511. You will have the chance to speak to one of our professionals who can help you to find the best options for rehabilitation close to you. 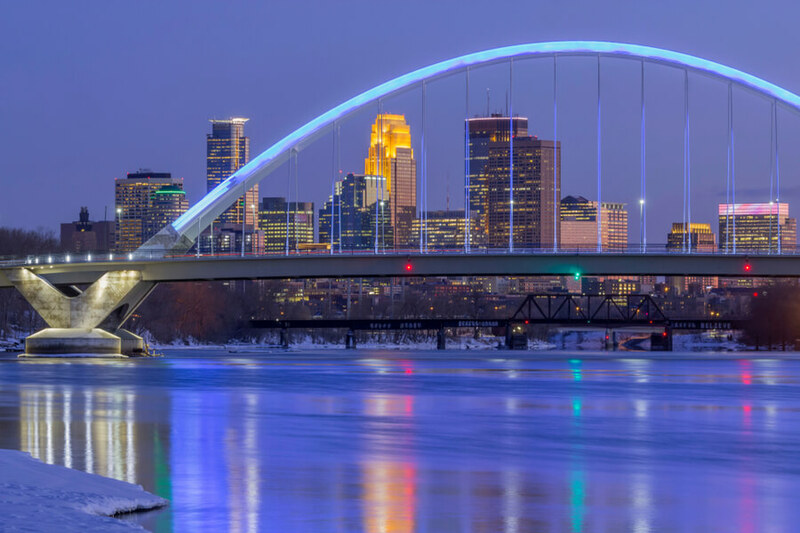 How many addiction treatment centers are in Minneapolis, MN? What are the most commonly abused substances in Minneapolis, MN? How Many Treatment Centers Are In Minneapolis? According to SAMHSA, there are 84 treatment centers dedicated to substance abuse alone in the county. A larger number of facilities address substance abuse alongside mental health issues, with this number standing at 123 facilities. This is a very good number for a population of just over 400,000 residents. The citizen to treatment center ration is very healthy and more than enough to address the recovery needs of addicts and promote sober living in Minneapolis. As mentioned previously, of all the centers that offer drug and alcohol treatment in Minneapolis county, some focus on substance abuse (SA) alone, while some treat substance abuse and mental health patients (SA & MH). Of the 84 that focus on SA alone, only one offers inpatient treatment; 67 offer outpatient care and 29 offer residential care. It is a bit worrying that there are so few centers that offer a live-in type of recovery treatment for patients as this type is usually required for patients that need a lot of supervision. It can be hard for them to have to take sole responsibility for their recovery process outside the walls of an outpatient center. Of the 123 centers that address substance abuse and also serve as mental health recovery centers in Minneapolis county, 6 offer inpatient care; 93 offer outpatient care and 42 offer residential care. 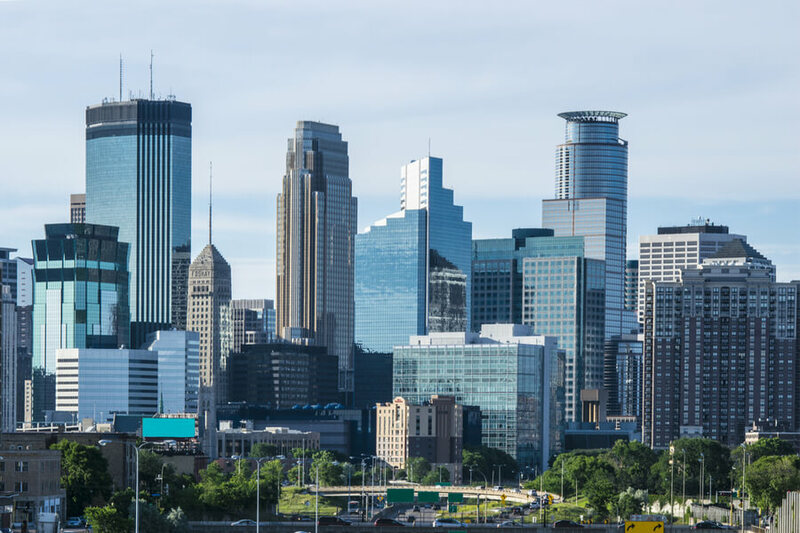 There is a slight improvement in the number of available options for inpatient centers here, but it remains clear that outpatient treatment in Minneapolis takes center stage. Note: These numbers are not all mutually exclusive, so some centers offer two or more types of treatment which is why the figures may seem mismatched with the total number mentioned earlier. 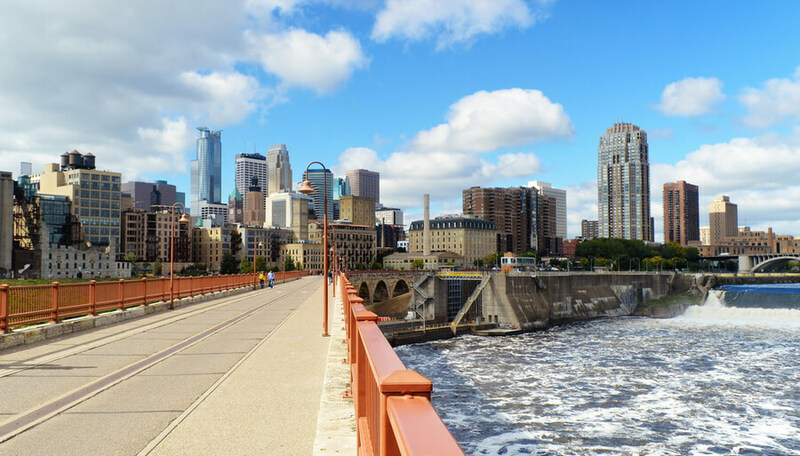 The first step in the long road to recovery for an addict is detoxification, and there are several Minneapolis detox centers that offer this service in preparation for the treatment of a patient. The idea behind the process of detoxification includes helping the patient to deal with withdrawal symptoms, as it can be really tough to do by oneself. It is only the first step though, and it is still strongly recommended that any patient needs to go in for a proper treatment program at a treatment center. 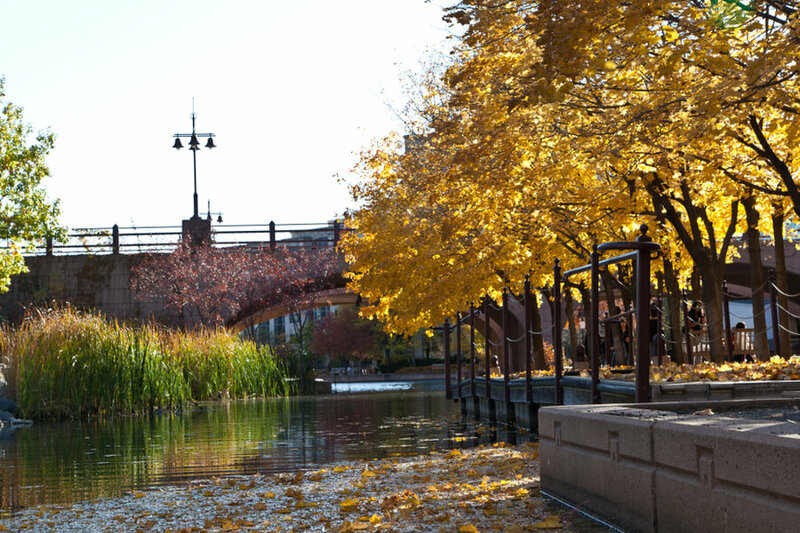 “AA” represents Minneapolis Alcoholic Anonymous meetings, recommended for addicts that have completed their programs at any of the alcohol treatment centers in Minnesota. “NA” represents Narcotics Anonymous meetings. For any addict, the first step toward getting the right treatment is to come to terms with the fact that there is a problem that needs to be solved with professional help. When the patient refuses to recognize the problem, any attempts at treatment would be futile. Additionally, it is very important to get help, but it is equally as important to get the right kind of help. The patient has to choose the type of care based on the type and severity of the condition. Inpatient care and residential care are generally advised for patients at an advanced stage of addiction. These types of patients need around the clock supervision, hence the need for them to stay within the premises of the treatment center. On the flip side, patients with mild cases of addiction may not need that type of supervision and they would be recommended for outpatient treatment, allowing them to leave the premises of the facility each day and try to go on with their normal life activities. Research is all very important. The best rehab centers are bound to have websites and testimonies from people on the Internet. This information can be very useful for making a decision as there’s nothing more reflective of a good choice than one that has been confirmed by other people with similar needs and problems. The patient can then use all of this information to weigh the available options and choose the most suitable one. If you or a loved one are suffering from a substance abuse problem in Minneapolis and you need help with choosing the right treatment program, please call (888)-459-5511. Health professionals have the answers to most questions about the topic and can help you out. Rest assured that all calls will be treated as confidential. Usually, when people talk about substance abuse, they tend to focus on the hard drugs, completely oblivious of the fact that alcohol remains the most potent and commonly abused substance. In the year 2016, the percentage of treatment admissions for alcohol alone in the city was up to 43.1%, just shy of the halfway mark. It may not be the deadliest substance in Minneapolis, but it is by far the most commonly abused. The rock form of cocaine – crack cocaine – is the most dominant form used by residents of the city. 73. 5% of cocaine-related admissions in 2014 were patients who used the substance in its rock form. Among these people, 34.7% were female and the rest were men over the age of 35. These statistics suggest that the drug is more common among middle-aged men than any other demographic in the city. Cocaine or crack-related deaths took a dive though, with 28 deaths in 2013 falling to 12 in the next year. As far back as 2012, up to 16.3% of drug admissions were down to Marijuana-related cases. However, in the year 2014, a law was passed in the state of Minnesota that only permitted people registered with the states patient registry to purchase the drug legally. The effect of this law was that drug admissions in that year dropped to 14.8%. The largest percentage of marijuana abusers were young adults between the ages 18 to 25. They constituted up to 37.3% of the total percentage of Marijuana-related treatment admissions that year. The abuse of heroin in Minneapolis is about the same level as with marijuana. In the year 2014, heroin-related cases made up to 14.6% of all drug admissions. Also similar to the case with marijuana is the fact that it is most commonly used by young adults aged 18 to 25. They constituted up to 37.5% of all heroin-related admissions in that year from the total of 3,208 people registered for heroin addiction. Heroin and Marijuana are basically joint-third on the list of the most commonly abused substances in the city.